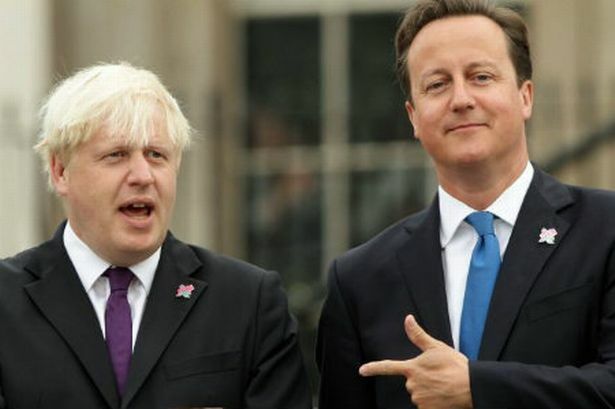 It has been revealed David Cameron positioned his former Eton schoolmate at the head of Vote Leave in order to deliberately sabotage the campaign to leave the EU. However, it is understood the PM’s motives were in fact deliberately intended to sabotage the Vote Leave campaign, knowing BoJo would make the campaign appear like a sketch out of Laurel & Hardy. In a secret recording out of Downing Street, captured by the Daily Fail newspaper, Cameron is recorded as saying: “Yes, yes. Boris is taking the Vote Leave job. The former London Mayor has been in the news recently after comparing the EU to the Nazis, and suggesting President Obama being “part-Kenyan” influenced his attitude to the UK. “The fact Cameron would posit his Etonian friend, who – ironically – was educated at the European School of Brussels, as head of the Vote Leave campaign is hardly a surprise. Johnson has been tipped as a potential successor to Cameron as PM, which some feel might be Cameron’s payment for BoJo turning the Leave campaign into a Plantagenet family reunion. Downing Street have yet to comment.